ResNet stands for Residential Networking and is part of the campus-side ITS organization. ResNet's main goal is to provide support to RIT students both personal computers and RIT network connectivity. We also operate a repair center where members of RIT can submit their device for repairs. ITS ResNet provides technical support for machines personally owned by RIT students. ResNet offers a wide range of services from basic machine tune-up and virus scans to file recovery and hardware replacement. Our friendly Residential Computing Consultants are on hand to assist RIT students in troubleshooting and resolving a wide variety of computer issues. Our full-service computer maintenance, upgrade, and repair facility provides a quick and convenient option for computer repair right on the RIT campus. Throughout the repair process, our customers remain informed of their computer's status at each step. In addition, our knowledgeable staff is equipped to provide useful information regarding component replacements and upgrades should they be requested or be necessary for repairs. 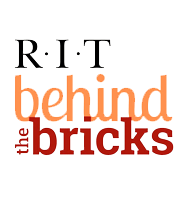 The ITS ResNet office works to ensure that RIT students continue to receive prompt and courteous service. Our location at Nathaniel Rochester Hall is equipped with plenty of workspace and parking to allow Resnet to easily serve residential students, commuters, faculty, and staff. So, is your personal computer in need of repair? Do you have a technology question or want to know what upgrades are right for you? Please don't hesitate to contact us by phone, email, or stop by during our convenient office hours, no appointment necessary. We look forward to assisting you with your technology needs! Welcome back to the Bricks. The ITS Resnet office staff is here to help you get connected to the network and assist with any computer related issue that you may experience on campus. Feel free to stop by our office during move in week if you have any problems with getting connected online, problems with your computer, free antivirus protection, and general computing questions. Most of our documentation is provided on this website for getting connected and setting up your devices on the network. If you are having any technical problems with your electronic devices, we will be here to assist you throughout the school year. ITS Resnet now offers On-Campus Room setups. Get a tech to your room to help get your electronics connected. For more information, check here. Welcome to RIT! As you begin to settle in to campus, you will want to set up your computer and get connected to the internet. This step is essential in order to begin receiving important information about your classes, campus announcements, and to connect with your new classmates, mentors, and friends. ITS Resnet is here to assist you during this process should you encounter difficulty or have any questions. We are also available to assist you when you connect your game consoles or other electronics. While living in the residence halls, you are expected to abide by institute policies with each of your devices. Please refer to the link below for guidance, and welcome to RIT! Click here for the New Student Resnet Guide. If you are visiting the RIT campus and need network access you may connect to the 'rit_guest' network. If you are visiting from an eduroam participating institution, you may also connect using the 'eduroam' network here on campus.